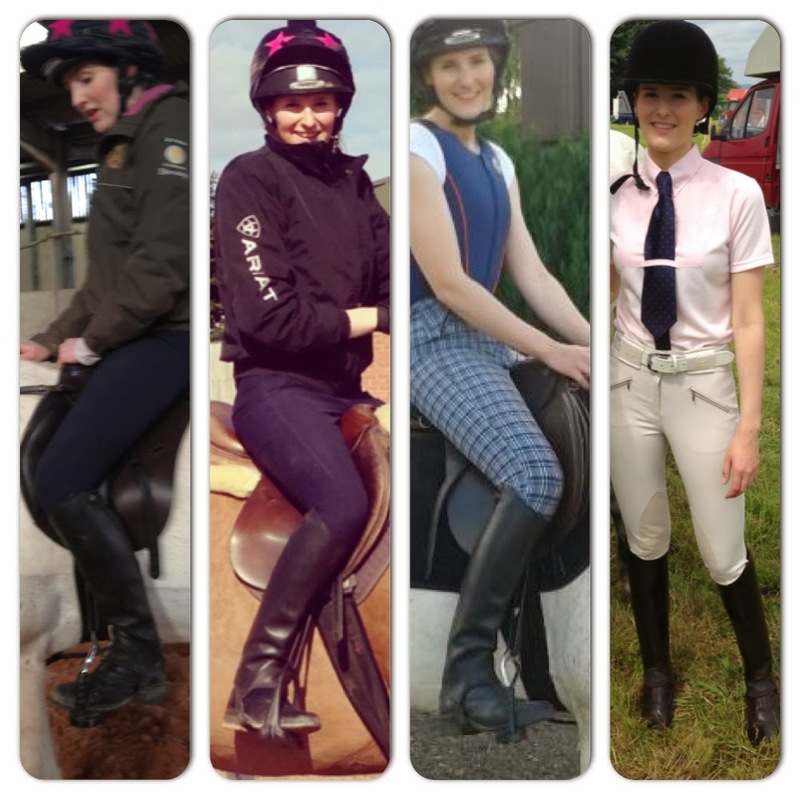 This is a follow on from my hugely popular post...A Girl Can Never Have Too Many Ariat's (hear, hear, all you horsey girls cry out in agreement; http://geegeeandme.blogspot.co.uk/2014/01/a-girl-can-never-have-too-many-ariats.html), and it makes perfect sense to discuss with you what I wear with my Ariat jodhpur boots when riding, and that would be...Ariat Close Contact Chaps in waxed black. I have owned my Ariat Close Contact Chaps longer than my current Ariat jodphur boots and prior to being converted I had always opted for washable, suede chaps costing around £30/£40 a pair with no desire to upgrade to leather. That all changed on the day I read the dress code requirements for my BHS Stage 1 exam...which included full leather boots or chaps, no suede or synthetics allowed! Great, perfect, more expense! This was back in Summer 2010, and I figured if I was going to invest in a leather pair, they might as well be decent. Back in 2010, I remember they cost me £99.00 as I winced at the price tag and looking at them online, they now retail for around £135.00 - I just made a mental note to take extra good care of them, to avoid the need to purchase a new pair, take about inflation! Which leads me nicely onto Ariat customer service; after owning my chaps for a year, the popper came off, I e-mailed Ariat with my negative feedback and they asked me to return the item and fixed the popper free of charge. Only to find the same thing happening a couple of months later, again I returned my chaps to Ariat to be fixed free of charge and they returned them to me with a free leather balm and a cute little note with a smiley face...what is it about a smiley face that makes the world a better place :o) and 'touch wood' they've been perfect ever since. For me, customer service is everything and again another reason why I would not hesitate to purchase from Ariat and recommend their products. So, I have covered off cost, customer service...do I really need to talk about style? Mine often appear a little worse for wear but below is a series of images of them being worn...the last one shows how well they scrub up when needed. Next...sizing and wearing in - I am 5'7 and of a slim build, I wear size small, height 17.5 inch, calve 14.5 inch and they fit beautifully, I did find my trusted old suede chaps easier to wear in than leather chaps, but circling your feet, bending your ankles, oiling them regularly helped them feel more at one with my leg when I rode - be aware of the squeaky new leather, terribly embarrassing during my BHS exam, I felt like a member of the Household Cavalry in the odd jackboots that give them stiff legs..you know which I mean!! I hope I have helped if you're looking for a new pair of chaps, what do you love about your chaps and why...?